In the previous post, a high level design for an Arithmetic Logic Unit (ALU) was presented. It is time to consider how this could be implemented. The 7400 series of integrated circuits became a staple in computer design and digital electronics in the 1970s and 1980s. 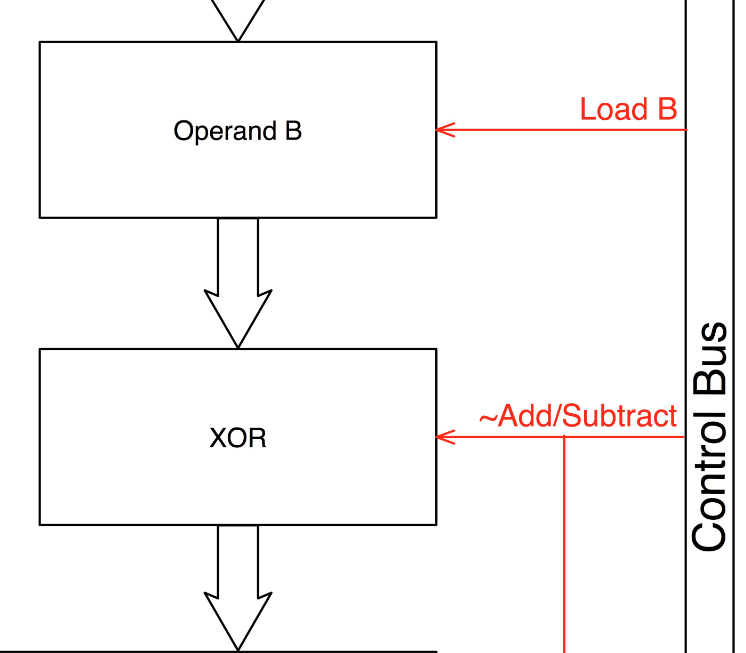 These packages implemented everything from simple logic gates (AND, OR, XOR, NOR etc.) through to complex functions such as Error Detection and Correction (see 742960). See this article for a comprehensive list of chips and their functions. So popular were these chips that they are still available today in the original DIL (Dual In-line Package) as well as surface mount packages. The above list is not comprehensive and many more variations are available. This series of posts will concentrate on using the LS series of chips where possible. Internal view of an Arithmetic Logic Unit showing the control signals and data paths. 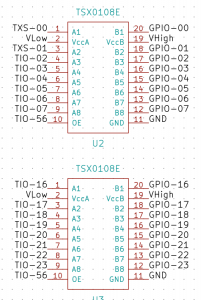 Let’s look at how each of these could possibly be implemented using 74LS00 series integrated circuits. The above requirement fits the description of a Flip-Flop (also known as a Latch). When the clock signal is low the inputs are effectively disconnected from the latches. the latches will therefore remain unchanged and hold the previously latched value. A high clock signal will allow the input pins to the connected to the latches. Any changes on the inputs are presented to the latches. This holds true for as long as the clock signal is in the high state. The state of the input pins is held in the latches when the clock signal transitions from high to low (on the falling edge of the clock). The output enable pin is an active low pin (denoted here by the ~ symbol before the name of the pin). This means that the contents of the latches will be output from the chip when the ~OE pin is in the low state. Putting the ~OE pin in a high state disconnects the latches from the output pins and puts the outputs in a high impedance (also known as a high-Z) state. Setting ~OE low while the clock pin is high means that the outputs will follow the inputs. This happens because the high clock signal allows the inputs to be connected to the latches and the low output signal puts the value in the latches on to the output pins. From the above description, the Clock pin should be connected to the Load A and Load B signals of the respective operands. This will allow the latch to be loaded with the input signals when the load signal falls from high to low. Load A (or Load B) signals are low then the inputs will have no impact on the operands. The outputs will reflect the previous value stored in the latch. When Load A (or Load B) is high then the contents of the data bus will be presented to the respective latch. The output of the respective operand will reflect the current contents of the data bus. When the Load A (or Load B) signal falls from high to low, the current contents of the data bus will be stored in the respective operand. The output will reflect this value no matter what happens on the data bus. Aside: in 2013, the intention was to simulate the SSEM in VHDL. The 74HC373 was simulated in a series of posts around that time. In twos complement, the first part of generating a negative number is to invert the bits in the original number. If you examine the above truth table, when the ~Add/Subtract signal is low, the output reflects the input value. When ~Add/Subtract is high then the output is the inverse of the input value. 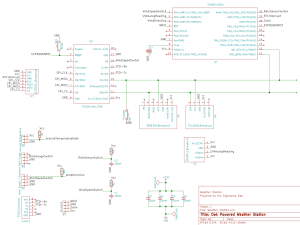 So, setting the ~Add/Subtract signal high when the ALU is subtracting operand B from operand A and low when the ALU is adding operand A to operand B will ensure that the correct value is passed through to the adder. 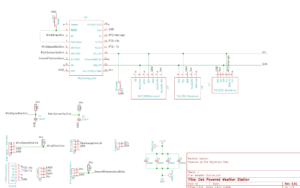 The 74LS86 is a quad 2-input XOR gate (contains four 2-input XOR gates) in a single package. The necessary functionality is achieved by connecting the A inputs (not to be confused with the A operand) of each gate to the ~Add/Subtract signal. All of the A inputs are therefore connected together. The B inputs are connected to the outputs of the B operand latch. and pass the selection on to the Adder. Use the ~OE signal on the A output to simply turn the output off when zero is required. This may require the use of pull down resistors to prevent a floating signal. A little investigation is required. In the case of subtraction, the final part of the negation of a twos complement number is to add 1 to the inverted bit pattern of the original number. Setting the carry in on the first adder effectively adds one to the number. The same ~Add/Subtract signal in the XOR block can be used here as it is low for addition (zero will be added to the sum) and high for subtraction (one will be added to the sum). 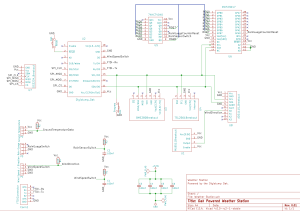 Output to the data bus is controlled by the ALUOutout signal and this function can be performed by a buffer circuit. 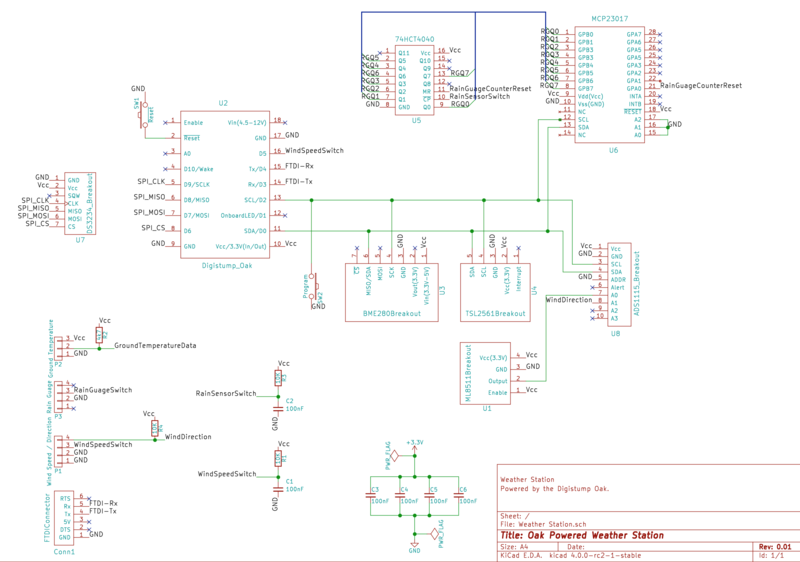 The 74LS245 is an octal bus transceiver with non-inverting three state outputs. The direction of signal transmission can be controlled using the DIR pin on this chip. In the case of the ALU, the direction is always from the ALU to the data bus and so this pin can be held high (or low) permanently. Output from 74LS245 is controlled by the ~OE pin. This is an active low pin and the chip is transparent when the signal is low and in high impedance mode when this pin is held high. All of the integrated circuits for the high level functionality of the ALU have been identified. The next step is to put this together and see if it works as expected. Something for the next article. 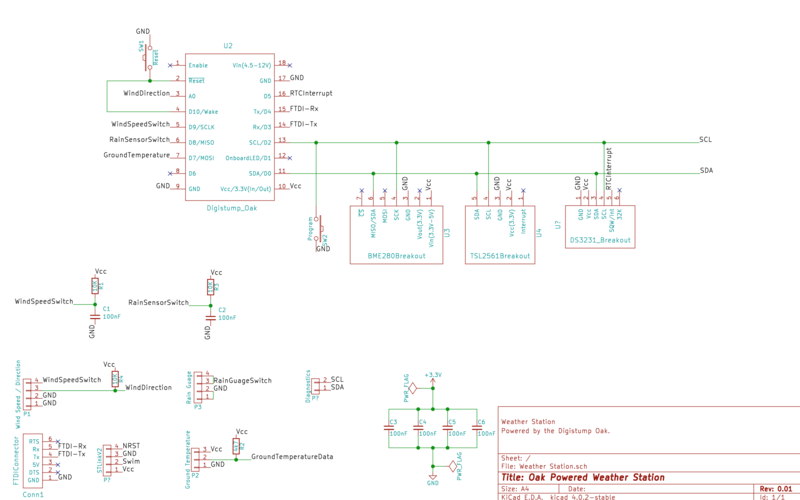 So, how easy this would be to implement the ALU in 1970s hardware, namely, 74LS series of chips. 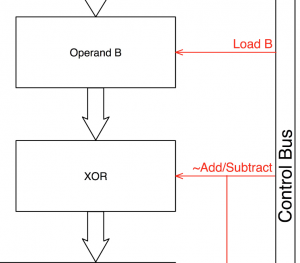 The only explicit arithmetic operation implemented by the ALU is the SUB instruction. There is however, one other operation that requires an arithmetic operation to be performed, the JRP instruction. This instruction adds the contents of a store line to CI and stores the result in CI. 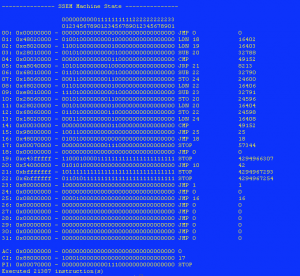 The inclusion of an ADD instruction to the ALU instruction set will support the JRP instruction. Before we progress further it is worth noting that the SSEM uses twos complement representation to store numbers. High level view of an Arithmetic Logic Unit. The Data Bus is used to move data from one part of the CPU to another. This is also connected to the external data bus of the computer allowing the CPU to store and retrieve data from system peripherals and memory. 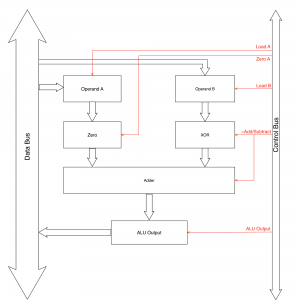 The Control Bus determines which operations are performed by the CPU (in this particular case, by the ALU) at any point in time. 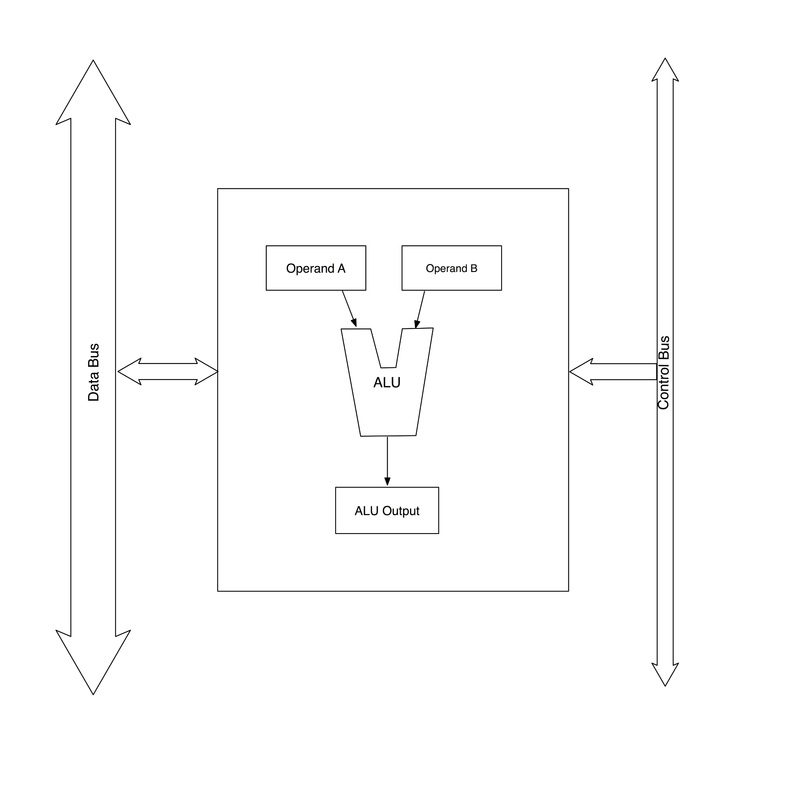 The ALU uses two input operands (A and B) from the Data Bus. Operations are performed on the two operands, the type of operation is determined by the signals on the Control Bus. The results of the operation are then placed in the ALU Output register. The final step is to make this result available to the Data Bus. The fact that the SSEM implements only these two arithmetic instructions operating on twos complement numbers leads to a very simple ALU design with very few control signals. As noted, the data bus moves data around the system. The ALU requires two operands for the ADD or SUB operations. These can be implemented in a single operation or in several stages. Supplying the data in a single operation would require the data bus to be twice as wide as the word size. In the case of the SSEM this would require a data bus that is 64-bits wide. Operand A would be supplied by one half of the signals on the data bus. Operand B would be supplied by the signals on the other half of the bus. 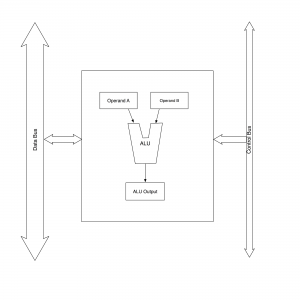 Supplying each operand independently would require a two step process, the first step puts operand A on the data bus and loads into the operand A register. 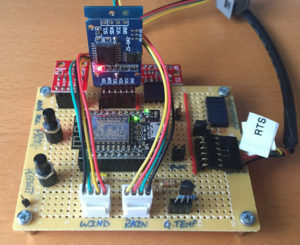 The second step puts operand B on the data bus and loads the data into the operand B register. This is slower, taking two steps, but simplifies the hardware design as a 32-bit data bus is used. There is another instruction that would benefit from having access to the ALU, namely, Load Negative (LDN). This instruction loads a negative number into the accumulator. A negated number can be obtained by subtracting the original number (from a store line) from 0. 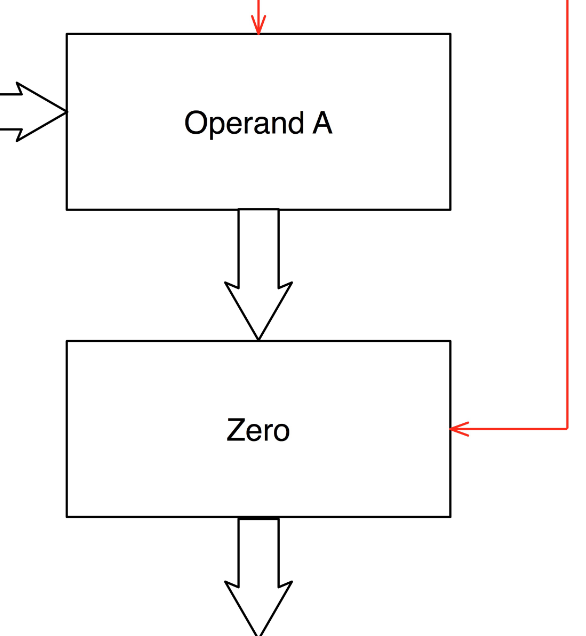 If we design the system so that the subtrahend (the number to be subtracted) is always placed in the B operand and operand A can be zero then we can support the LDN instruction. This leads to the final signal, Operand A or Zero. The data paths are shown as broad arrows. The control signals are drawn in red. The data from the data bus is presented to both the A and the B operands at the same time. The data is loaded into the register when the appropriate Load A or Load B signal is set. 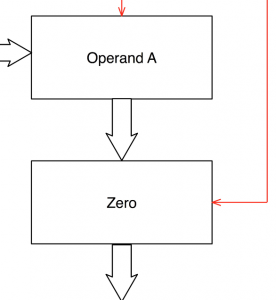 The zero operation is only needed for the A operand. This block will either pass the value in operand A through to the adder (for the SUB, ADD and JRP instruction) or pass 0 through to the adder (for the LDN instruction). Note that when the Control Signal is 0 then the output from the XOR gate reflects the value on the Input Value. When the Control Signal is 1 then the output is the inverse of the Input Value. This provides a method for solving the first part of the problem of generating the twos complement negative number, namely, inverting all of the bits in the positive number. Two chained four bit adders. When the ~Add/Subtract control signal is set to 0 then the XOR block passes through operand B unchanged. The carry in signal to the first of the adders (Adder-0) is set to 0. The result is that operand A and operand B are added together. This supports the JRP instruction which requires an addition. When the ~Add/Subtract control signal is set to 1 then the XOR block inverts the bits in operand B. 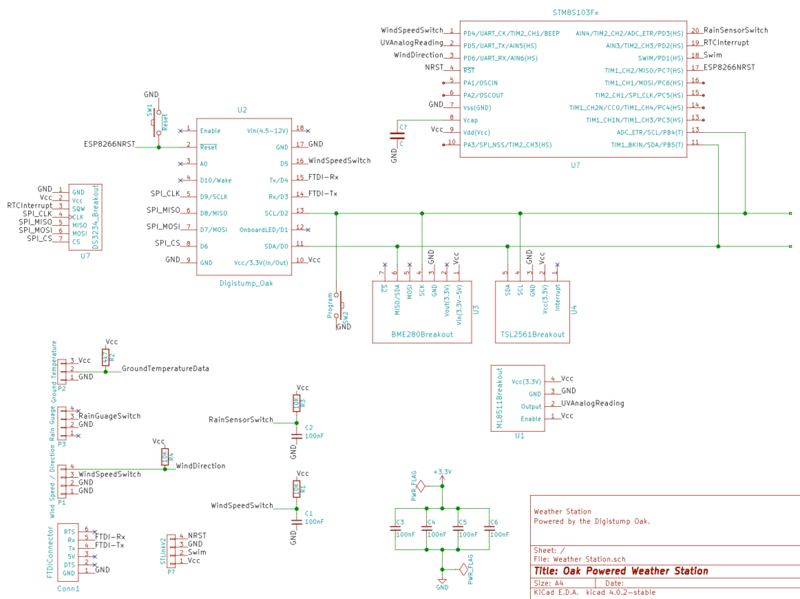 The additional 1 needed for the twos complement process is provided by passing the ~Add/Subtract control signal to the carry in input to the first adder unit (Adder-0 in the above diagram). The final part of the problem is to control when the result from the calculation is output on to the data bus. A lot of theory, next step is to consider how this can be put into practice. 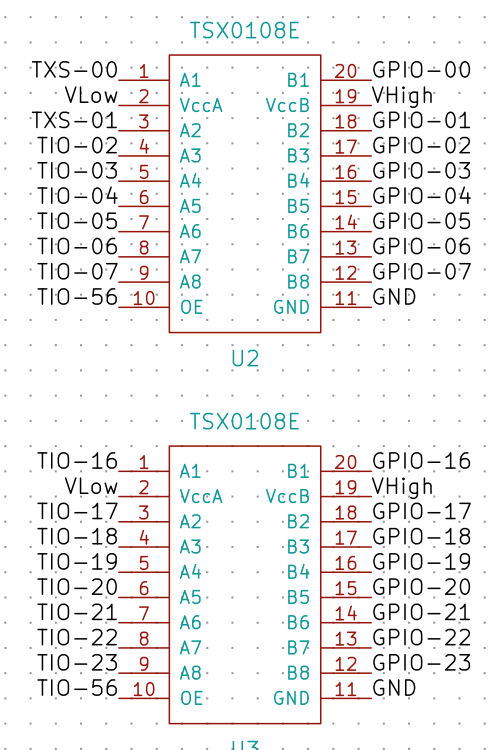 One of the current projects on the go is a level shifter for the Teensy 3.6 using the TXS0108E chip. 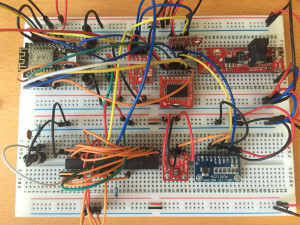 The aim is to allow the use of as many of the Teensy’s GPIO pins as possible to allow the development of another project that is working on 5V logic levels. This project reminded me that when putting together a microcontroller project that the system is made up of both hardware and software. Sometimes a design decision made in one element can have an adverse effect on the other. 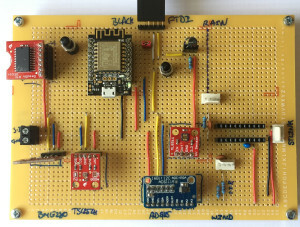 From the start it was decided that the GPIO pins would have a one to one mapping from the microcontroller to the external bus. 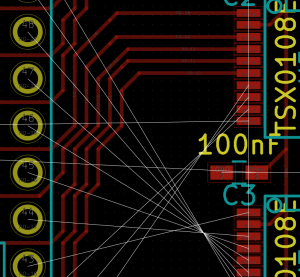 So pin 1 on the microcontroller would map to pin 1 on the external connectors. Routing this was going to be a nightmare. 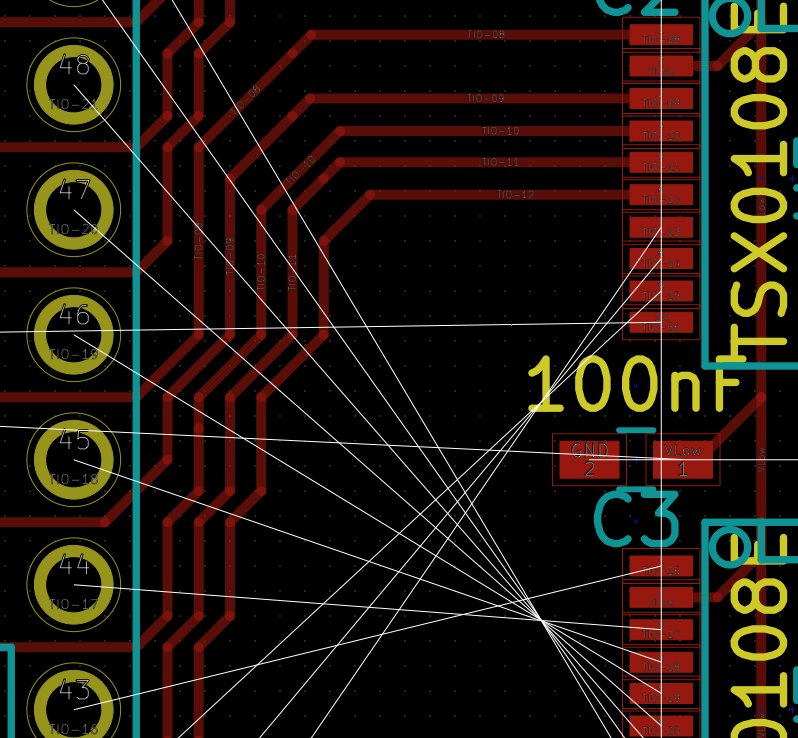 At this point the penny dropped that a small change in the software would make the routing a whole lot easier. This small change to the design created a one off task to create a header file for the board but it made the routing a lot easier. Sometimes a small change may create a new task (creating the header file) but may possibly save more time elsewhere in the project. Moral of the story, Design the system as a whole, not the individual components. 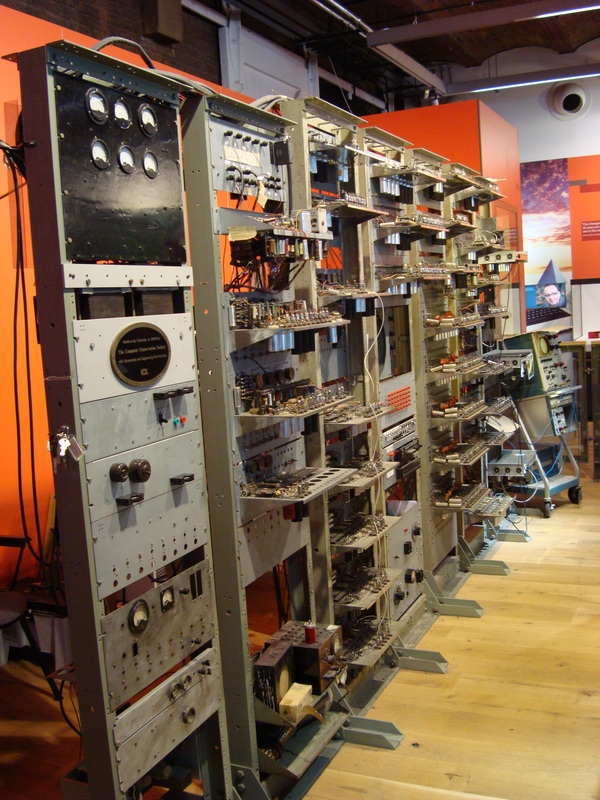 The Manchester Small Scale Experimental Machine (SSEM) or Manchester Baby as it became known, was the first computer capable of executing a stored program. 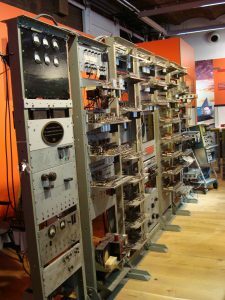 The Baby was meant as a proving ground for the early computer technology having only 32 words of memory and a small instruction set. A replica of the original Manchester Baby is currently on show in the Museum of Science and Industry in Castlefield, Manchester. Manchester Baby at Museum of Science and Industry August 2012. As you can see, it is a large machine weighing in at over 1 ton (that’s imperial, not metric, hence the spelling). A full breakdown on the Manchester Baby’s architecture can be found in the Wikipedia article above as well as several PDFs, all of which can be found online. The following is meant as a brief overview to present some background to the Python code that will be discussed later. Baby used 32-bit words with numbers represented in twos complement form. The words were stored in store lines with the least significant bit (LSB) first (to the left of the word). This is the reverse of most modern computer architectures where the LSB is held in the right most position. As already noted, when the storage line is interpreted as data then the storage line contains a 32-bit number stored in twos complement form with the LSB to the left and the most significant bit (MSB) to the right. This mixing of data and program in the same memory is known as von Neumann architecture named after John von Neumann. 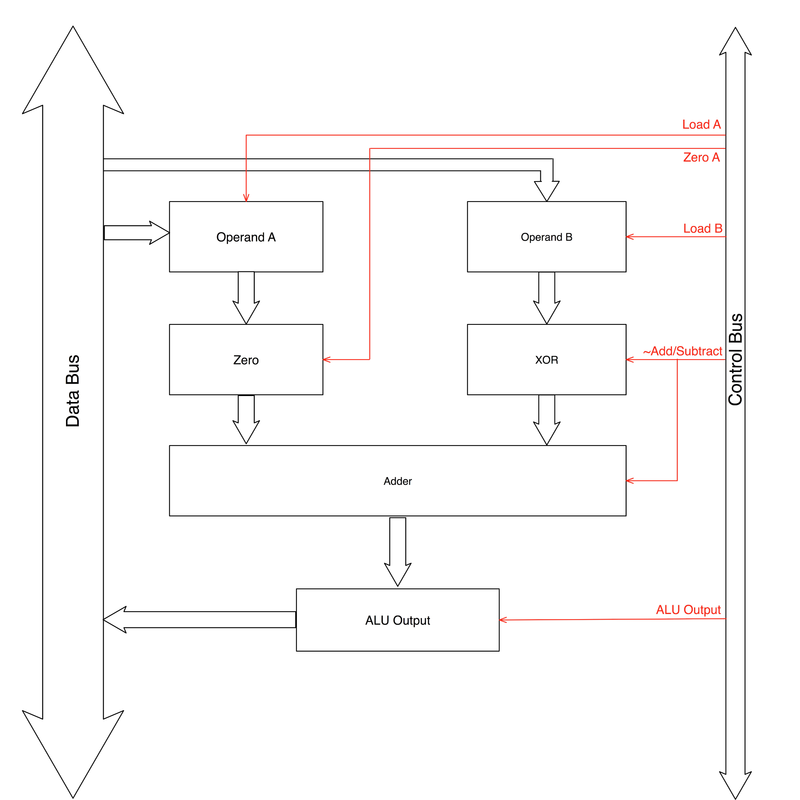 For those who are interested, the memory architecture where program and data are stored in separate storage areas is known as a Harvard architecture. 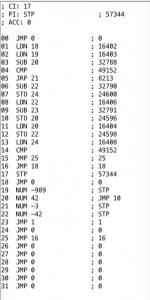 Baby used three bits for the instruction opcode, bits 13, 14 and 15 in each 32 bit word. This gave a maximum of 8 possible instructions. In fact, only seven were implemented. When reading the above table it is important to remember that the LSB is to the left. The current instruction is the modern day equivalent of the program counter. This contains the address of the instruction currently executing. CI is incremented before the instruction is fetched from memory. At startup, CI is loaded with the value 0. This means that the first instruction fetched from memory for execution is the instruction in storage line 1. The present instruction (PI) is the actual instruction that is currently being executed. As with modern architecture, the accumulator is used as a working store containing the results of any calculations. The source code for the above along with several samples and test programs can be fount on Github. A register is defined as a 32-bit value. The Register class stores the value and has some logic for checking that the value passed does not exceed the value permitted for a 32-bit value. Note that no other checks or interpretation of the value is made. StoreLines holds a number of Registers, the default when created is 32 registers as this maps on to the number of store lines in the original Manchester Baby. It is possible to have a larger number of store lines. The CPU class executes the application held in the store lines. It is also responsible for displaying the state of the CPU and the instructions being executed. The main program file contains an assembler (a very primitive one with little error checking) for the Baby’s instruction set. It allows a file to be read and the store lines setup and finally instructs the CPU to execute the program. --  Test the Load and subtract functions. 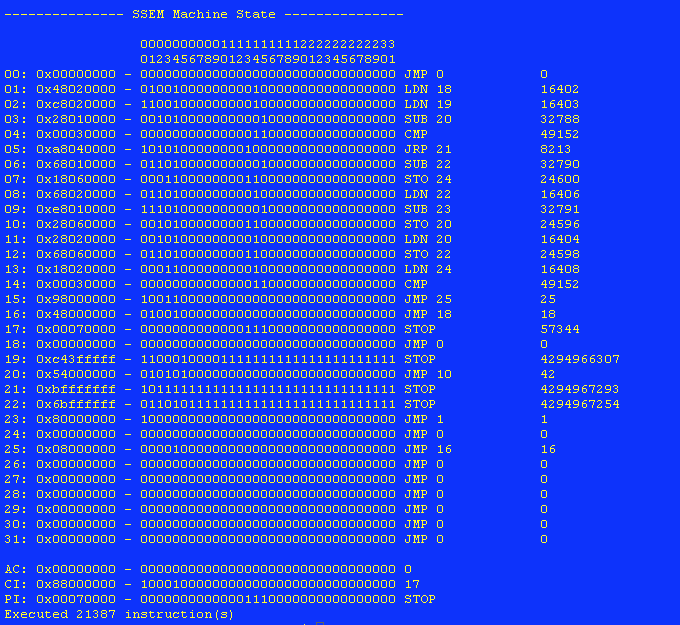 --  At the end of the program execution the accumulator should hold the value 15. 05: STOP        -- End of the program. Two minus signs indicate an inline comment. Everything following is ignored. The store line number is the location in the Store that will be used hold the instruction or data. As well as instructions a number may also be given using the NUM mnemonic. All of the mnemonics requiring a store number (all except STOP and CMP) read the Operand field as the store line number. The NUM mnemonic stores the Operand in the store line as is. Testing the application was going to be tricky without a reference. Part of the reason for developing the Python implementation was to check my understanding of the operation of the SSEM. Luckily, David Sharp has developed an emulator written in Java. I can use this to check the results of the Python code. Result of the HCF application shown on the storage lines of the Java emulator. Result of the program execution disassembled in the Java emulator. 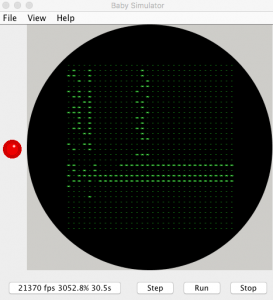 Final output from the Python emulator. 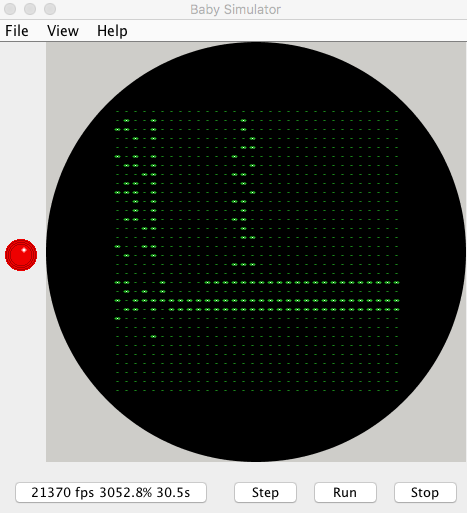 Examination of the output shows that the applications have resulted in the same output. Note that the slight variation in the final output of the Python code is due to the way in which numbers are extracted from the registers. Examination of the bit patterns in the store lines shows that the Java and Python emulators have resulted in the same values. The Baby presented an ideal way to start to examine computer architecture due to its prmitive nature. The small storage space and simple instruction set allowed emulation in only a few lines of code.